‘The Internet of Things (IoT) will revolutionise factory automation. Until now, automation has been a strict hierarchical system. In the IoT world information will be gathered and interpreted in different places, feeding back into the automated production process. The result will be greater flexibility and reduced manufacturing cost.’ Christian Breitsprecher, Edison analyst. Source: Refinitiv. Note: Priced at 2 April 2019. What is the automation pyramid? The automation pyramid is a symbolic representation of the different levels of automation during production. At the top are the centralised control mechanisms of an automated system, the management level; and at the bottom is the shop floor, where goods are produced, the field level. Above the field level are the control, supervisory and planning levels, in ascending order. Information trickles down from the top and is processed through various layers until it reaches the devices that build the products. The shop floor houses the sensors, actuators, axles and machinery that monitor devices and manufacture goods. The level above is the control level, where two devices help control the shop floor. The first of these is the programmable logic controller (PLC). The PLC reads inputs from the various sensors and devices on the shop floor, then triggers actions based on pre-programmed responses, for example if a sensor reports high temperatures, but five other sensors report that nothing is amiss. The PLC could be programmed to activate a cooling system, but wait to turn off the machinery until a second or third sensor reported a fault. The control level can also use Proportional-Integral-Derivative (PID) control. A PID is a complex version of a PLC that is more flexible in how its threshold for action is set. PIDs are often used in conjunction with PLCs. What stands above the control level? Above the control level sits the supervisory level, which uses supervisory control and data acquisition (SCADA). SCADA can control and supervise multiple PIDs and PLCs, usually through a simple graphical overlay. All these systems are monitored by a manufacturing execution system (MES) at the planning level. MESs monitor the entire system and can, for example, adjust raw material orders based on the information gathered from the levels below it. MESs are commonly used to control and monitor entire plants, sometimes at a distance. The top of the pyramid is the management level, also known as enterprise resource planning (ERP). From the top of the pyramid, management can use an ERP system to control and send orders through the levels below it, all the way to the shop floor. Why is the automation pyramid slowly becoming obsolete? The potential of cloud computing and the Internet of Things (IoT) may mean that the traditional way of viewing automation, through the pyramid, will no longer apply. The emerging IoT and its many small interconnected sensors allow massive amounts of information to be collected from the shop floor. Data alone do not make an effective automation system. It is only with the analytical capacity of cloud computing and the processing power it can bring to bear relatively cheaply that the information in the myriad of sensors can be analysed and used. Together, cloud computing and IoT can dissolve the pyramid’s strict hierarchy, creating a diffuse network of sensors not connected to a PID or PLC but a cloud-based analytics package. This package can perform the actions of all other levels of the pyramid in a diffuse web of systems connected at multiple points. Cloud computing and IoT, together with advances in artificial intelligence, may one day lead to a totally integrated automation system. Integrated automation is a manufacturing system fully controlled by a computer. From design, to production, quality control and dispatch, the production chain would be completely automated, requiring minimum oversite and routine maintenance. Today, integrated automation is not viable and other, more rudimentary automation in the industry standard. Fixed automation is the most rudimentary. Here, a sequence of actions is fixed into the equipment’s configurations and cannot to be altered. This allows relatively cheap, high-volume production, but little flexibility. Programmable automation, often used in batch processing, allows a set number of preconfigured programmes to be run on the machinery. The system is more malleable than fixed automation, but lacks the capabilities of flexible automation. In flexible automation, computer code can directly alter how the machinery operates, allowing it to take nearly any action it is physically capable of. The most common examples are CNC machines like lathes, mills or plasma cutters, and 3D printers. Which companies are involved in automation? Automation is a huge market, with many large and small players involved at various levels. Some of the biggest names include Siemens, Emerson, ABB, Honeywell and Yokogawa Electric. Others are more focused on the automation and industrial space, like Rockwell Automation, Omron and Endress+Hauser. In the small- and mid-cap space, Cognex is a notable supplier of machine vision systems for automation. PSI Software is a publicly traded company focusing on software for energy and production management. Many of the players are smaller companies, eg onoff AG, a specialist in automation and IT solutions. Other notable examples are PAS Process Automation Solutions, SpiraTec and Actemium Cegelec. 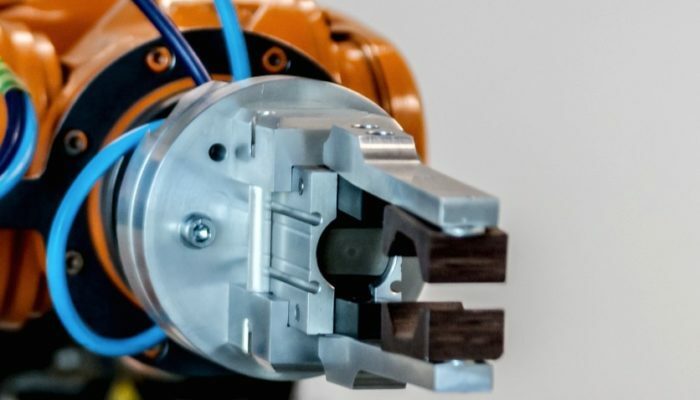 Players in the robotics sector include Fanuc, ABB, Kuka and Yaskawa, while Dürr, a paint shop and paint robot producer, is one of the initiators of Adamos, an innovative IoT platform. There are also some specialist exchange-traded funds (ETFs) that invest in the automation market. The most well-known is the ROBO Global Robotics and Automation Index ETF and the recently launched Global X Robotics & Artificial Intelligence fund. The ARK industrial innovation ETF, focusing on energy storage and space exploration in addition to robotics and automation, although more general, is also available.